No one was injured when a small plane crashed near U.S. Route 36/state Route 37 east of Delaware Sunday. Sgt. 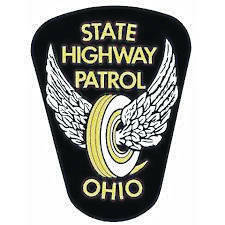 Ty Skaggs of the Ohio State Highway Patrol’s Delaware Post reported Monday that around 5:22 p.m. Sunday, 911 dispatchers received a call about a plane crash in a cornfield on the south side of U.S. 36/SR 37. Skaggs said the two men in the plane, Eric Shiffer, 47, of North Lewisburg, Ohio, and Thomas Printz, 75, of Springfield, Ohio, were flying cross country and had taken off from New Philadelphia in Tuscarawas County and were on their way to Grimes Field in Urbana when the plane’s engine cut out. Skaggs reported the plane was only about 2,500 feet off the ground, so the men could not have glided the plane to any local air strips. After the engine cut out, the men attempted to land the plane in a cornfield and when the nose landing gear touched the soft dirt of the cornfield, the plane flipped forward and landed on its roof, Skaggs said. The two men then unbuckled and climbed out. Both men refused medical treatment when emergency services arrived. Skaggs said the Ohio State Highway Patrol is still investigating and is mandated by Ohio Law to investigate plane crashes. He added that the Federal Aviation Administration will also be conducting an investigation. Emergency units cleared the scene around 8:20 p.m. The plane was still in the field Monday as special equipment will need to be brought in to remove it.